"Kammermusik" redirects here. For the works by Hindemith, see Kammermusik (Hindemith). Johann Wolfgang von Goethe described chamber music (specifically, string quartet music) as "four rational people conversing". 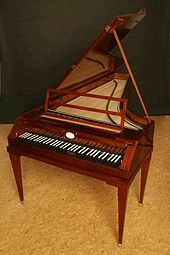 This conversational paradigm – which refers to the way one instrument introduces a melody or motif and then other instruments subsequently "respond" with a similar motif – has been a thread woven through the history of chamber music composition from the end of the 18th century to the present. The analogy to conversation recurs in descriptions and analyses of chamber music compositions. Many other composers wrote chamber compositions during this period that were popular at the time and are still played today. Luigi Boccherini, Italian composer and cellist, wrote nearly a hundred string quartets, and more than one hundred quintets for two violins, viola and two cellos. In this innovative ensemble, later used by Schubert, Boccherini gives flashy, virtuosic solos to the principal cello, as a showcase for his own playing. Violinist Carl Ditters von Dittersdorf and cellist Johann Baptist Wanhal, who both played pickup quartets with Haydn on second violin and Mozart on viola, were popular chamber music composers of the period. 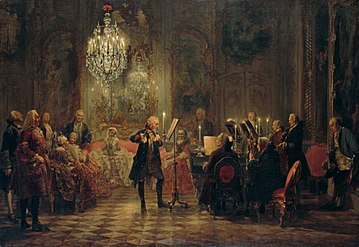 With the decline of the aristocracy and the rise of new social orders throughout Europe, composers increasingly had to make money by selling their compositions and performing concerts. They often gave subscription concerts, which involved renting a hall and collecting the receipts from the performance. Increasingly, they wrote chamber music not only for rich patrons, but for professional musicians playing for a paying audience. Haydn was wrong—the third trio was the most popular of the set, and Haydn's criticisms caused a falling-out between him and the sensitive Beethoven. The trio is, indeed, a departure from the mold that Haydn and Mozart had formed. Beethoven makes dramatic deviations of tempo within phrases and within movements. He greatly increases the independence of the strings, especially the cello, allowing it to range above the piano and occasionally even the violin. The Serioso is a transitional work that ushers in Beethoven's late period – a period of compositions of great introspection. "The particular kind of inwardness of Beethoven's last style period", writes Joseph Kerman, gives one the feeling that "the music is sounding only for the composer and for one other auditor, an awestruck eavesdropper: you." In the late quartets, the quartet conversation is often disjointed, proceeding like a stream of consciousness. Melodies are broken off, or passed in the middle of the melodic line from instrument to instrument. Beethoven uses new effects, never before essayed in the string quartet literature: the ethereal, dreamlike effect of open intervals between the high E string and the open A string in the second movement of quartet Op. 132; the use of sul ponticello (playing on the bridge of the violin) for a brittle, scratchy sound in the Presto movement of Op. 131; the use of the Lydian mode, rarely heard in Western music for 200 years, in Op. 132; a cello melody played high above all the other strings in the finale of Op. 132. Yet for all this disjointedness, each quartet is tightly designed, with an overarching structure that ties the work together. The ascendance of the piano, and of symphonic composition, was not merely a matter of preference; it was also a matter of ideology. In the 1860s, a schism grew among romantic musicians over the direction of music. Liszt and Richard Wagner led a movement that contended that "pure music" had run its course with Beethoven, and that new, programmatic forms of music–in which music created "images" with its melodies–were the future of the art. The composers of this school had no use for chamber music. Opposing this view was Johannes Brahms and his associates, especially the powerful music critic Eduard Hanslick. This War of the Romantics shook the artistic world of the period, with vituperative exchanges between the two camps, concert boycotts, and petitions. Bedřich Smetana, another Czech, wrote a piano trio and string quartet, both of which incorporate native Czech rhythms and melodies. In Russia, Russian folk music permeated the works of the late 19th-century composers. Pyotr Ilyich Tchaikovsky uses a typical Russian folk dance in the final movement of his string sextet, Souvenir de Florence, Op. 70. Alexander Borodin's second string quartet contains references to folk music, and the slow Nocturne movement of that quartet recalls Middle Eastern modes that were current in the Muslim sections of southern Russia. Edvard Grieg used the musical style of his native Norway in his string quartet in G minor, Op. 27 and his violin sonatas. , "startling to the classically-trained musician, but second-nature to the folk musician." Structurally, also, Bartók often invents or borrows from folk modes. In the sixth string quartet, for example, Bartók begins each movement with a slow, elegiac melody, followed by the main melodic material of the movement, and concludes the quartet with a slow movement that is built entirely on this elegy. 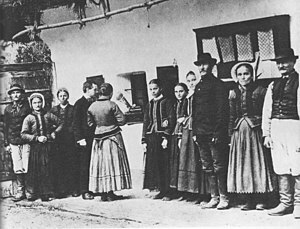 This is a form common in many folk music cultures. Musica Viva Australia, a large non-profit chamber music promoter working across Australia that tours local and international chamber music artists, as well as managing chamber music festivals and young artist development programs. 10 Decet Double Wind Quintet 2 ob, 2 English hrn, 2 cl, 2 hrn, 2 bsn (Mozart's set) or 2 fl, ob, Eng hrn, 2 cl, 2 hrn and 2 bsn (Enescu's set) There are few double wind quintets written in the 18th century (notable exceptions being partitas by Josef Reicha and Antonio Rosetti), but in the 19th and 20th centuries they are plentiful. The most common instrumentation is 2 flutes (piccolo), 2 oboes (or English horn), two clarinets, two horns and two bassoons. Some of the best 19th-century compositions are the Émile Bernard Divertissement, Arthur Bird's Suite and the Salomon Jadassohn Serenade, to name a few. In the 20th century the Decet/dixtuor in D, Op. 14 by Enescu written in 1906, is a well-known example. Frequently an additional bass instrument is added to the standard double wind quintet. Over 500 works have been written for these instruments and related ones. ^ Estelle Ruth Jorgensen, The Art of Teaching Music (Bloomington: Indiana University Press, 2008): 153–54. ISBN 978-0-253-35078-7 (cloth); ISBN 978-0-253-21963-3 (pbk). ^ Christina Bashford, "The string quartet and society" in Stowell (2003), p 4. The quote was from a letter to C.F. Zelter, November 9, 1829. ^ For a detailed discussion of the origins of chamber music see Ulrich (1966). ^ Solos for a German Flute, a Hoboy or a Violin published by John Walsh, c. 1730. ^ Ulrich (1966), p. 131. ^ Trio sonata from The Musical Offering, BWV 1079, by J. S. Bach, is from a performance in June 2001 by flutist Taka Konishi and Ensemble Brillante, at Faith Presbyterian Church in Detroit. ^ Gjerdingen (2007), p. 6. 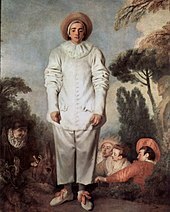 ^ See Donald Tovey, "Haydn", in Cobbett (1929), or Geiringer (1968). ^ Adolfo Betti, "Quartet: its origins and development", in Cobbett (1929). The first use of this expression is earlier than this, but its origin is unknown. ^ J.A. Fuller Maitland, "Pianoforte and Strings", in Cobbett (1929), p. 220(v.II). ^ Geiringer (1982), p. 80. ^ for a discussion of the effects of social change on music of the 18th and 19th centuries, see Raynor (1978). ^ David Boyden, "The Violin", pp. 31–35, in Sadie (1989). ^ Cecil Glutton, "The Pianoforte", in Baines (1969). ^ Maynard Solomon, "Beethoven: Beyond Classicism", p. 59, in Winter and Martin (1994). ^ Stephen Hefling, "The Austro-Germanic quartet tradition in the nineteenth century", p. 244, in Stowell (2003). ^ Solomon (1977), p. 117. The quote is from Ferdinand Ries's recollections of conversations with Beethoven. ^ Miller (2006), p. 57. ^ Joseph Kerman, "Beethoven Quartet Audiences: Actual Potential, Ideal", p. 21, in Winter and Martin (1994). ^ Miller (2006), p. 28. ^ Kerman, in Winters and Martin (1994), p. 27. ^ For a complete analysis of the late quartets, see Kerman (1979). ^ Ulrich (1966), p. 270. ^ For an analysis of these works, as well as the quintet, see Willi Kahl, "Schubert", in Cobbett (1929), pp. 352–364. ^ Fannie Davies, "Schumann" in Cobbett (1929), pp. 368–394. ^ Stephen Hefling, "The Austro-Germanic quartet tradition of the nineteenth century", p. 239, in Stowell (2003). ^ Hefling, in Stowell (2003), p. 233. ^ Bashford, in Stowell (2003), p. 10. For a detailed discussion of quartet societies in France, see Fauquet (1986). ^ Bashford, in Stowell (2003), p. 5. ^ Bashford, in Stowell (2003), p. 6. ^ For a discussion of the impact of the piano on string quartet composition, see Griffiths (1985). ^ Tully Potter, "From chamber to concert hall", in Stowell (2003), p 50. ^ Robert Schumann, "Neue Bahnen" in the journal Neue Zeitschrift für Musik, October 1853, W3.rz-berlin.mpg.de (accessed 2007-10-30). ^ Swafford (1997), p. 52. ^ Schoenberg(1984), cited in Swafford(1997), p. 632. ^ Schoenberg(1984), cited in Swafford(1997), p. 633. ^ Debussy himself denied that he was an impressionist. See Thomson (1940), p. 161. ^ Miller (2006), p. 218. ^ Einstein (1947), p. 332. ^ Butterworth (1980), p. 91. ^ Butterworth (1980), p. 107. ^ Griffiths (1978), p. 7. ^ Griffiths (1978), p. 104. ^ Baron (1998), p. 385. ^ Baron (1998), p. 382. ^ a b Baron (1998), p. 383. ^ Baron (1998), p. 396. ^ Baron (1998), p. 403. ^ Steve Reich, Composer's Notes, at . ^ Irvine Arditti, "Flight of Fantasy", The Strad (March 2008):52–53, 55. ^ Karlheinz Stockhausen, Awake, no. 16 (July 7, 1970) from Aus den sieben Tagen/Für kommende Zeiten/For Times to Come/Pour les temps a venir: 17 Texte für Intuitive Musik, Werk Nr. 33 (Kürten: Stockhausen-Verlag, 1976), 66. ^ K. Robert Schwarz, "A New Look at a Major Minimalist", in The New York Times (Sunday, May 6, 1990), Section H, p.24. Retrieved 20 April 2010. ^ Baron (1998), p. 435. ^ Baron (1998), p. 424. ^ Booth (1999), p. 15. ^ Antoine Hennion, "Music industry and music lovers, beyond Benjamin: The return of the amateur", in Soundscapes (volume 2, July 1999) available online at Soundscapes.info. ^ "Music For The Love of It". musicfortheloveofit.com. Retrieved 2017-12-12. ^ "ACMP | The Chamber Music Network". acmp.net. Retrieved 2017-12-12. ^ Baron (1999), p. 425. ^ "Simple Measures". Simple Measures. Archived from the original on 2006-05-13. Retrieved 2012-05-12. ^ "Storefront Strings: How the Providence Quartet built an Inner City Residency" (PDF). Retrieved 2012-05-12. ^ Waterman, in Stowell (2003), p. 101. ^ Steinhardt (1998), p. 6. ^ Norton (1925), pp. 25–32. ^ David Waterman, "Playing quartets: the view from inside", in Stowell (2003), p. 99. ^ Blum (1986), p 11. ^ Blum (1986), p. 5. ^ For a detailed discussion of problems of blending in a string quartet, see Norton (1925), chapter 7. ^ Waterman, in Stowell (2003), p. 110. ^ Blum (1986), p. 28. ^ Cobbett, "Chamber Music Life", in Cobbett (1929), p. 254. ^ Steinhardt (1998), p. 10. ^ Seth (1999), p. 86. ^ "Spotlight on Ottawa Chamberfest". Spotlight – Your Guide to What's Happening. City of Ottawa. Retrieved May 30, 2011. ^ "Earsense Chamberbase Statistics". Retrieved 2012-05-12. Cobbett, Walter Willson, editor (1929). Cobbett's Cyclopedic Survey of Chamber Music. London: Oxford University Press. CS1 maint: Extra text: authors list (link) ISBN 9781906857820 and ISBN 978-1906857844. Schoenberg, Arnold (1984). Leonard Stein (ed.). Style and Ideal: Selected Writings of Arnold Schoenberg. Berkeley and Los Angeles: University of California Press. Sumner Lott, Marie (2015). The Social Worlds of Nineteenth-Century Chamber Music: Composers, Consumers, Communities. University of Illinois Press. ISBN 978-0-252-03922-5. Retrieved 12 February 2017.